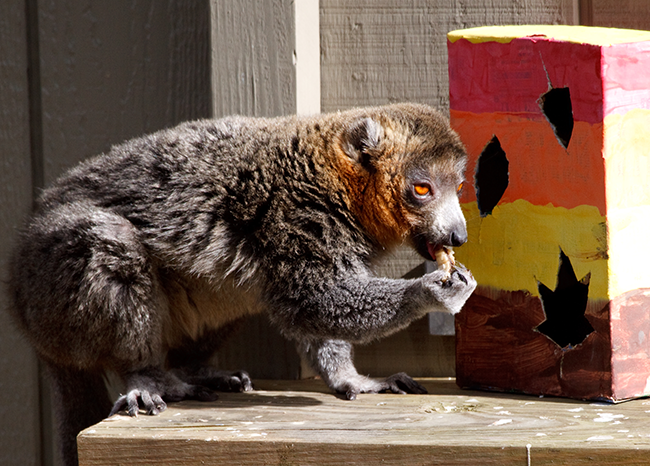 Join the Zoo: Enjoy Free Daytime Admission All Year Long! Enrichment enhances animal welfare and health. It is vital to animal welfare as it stimulates an animal’s senses, curiosity, and desire to manipulate their environment. Enrichment also encourages different natural behaviors that animals might exhibit in a wild environment, such as foraging or scent marking. Enclosures are designed to mimic a very natural habitat, and enrichment helps give the animal choices in their environment: to forage, climb, investigate, or play. Ideal forms of enrichment are tactile, visual, auditory, food, and olfactory. 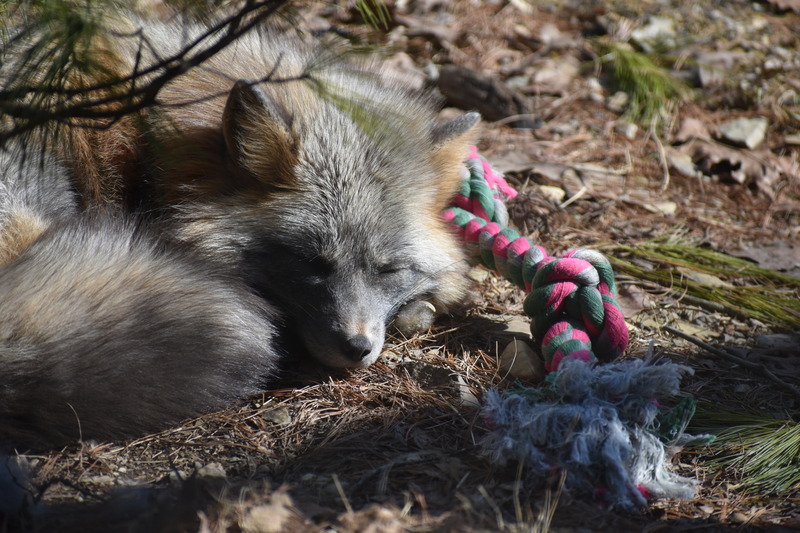 includes any sort of physical change or addition to their environment, including new exhibit furniture (such as logs or perches), balls, slides, or puzzles. 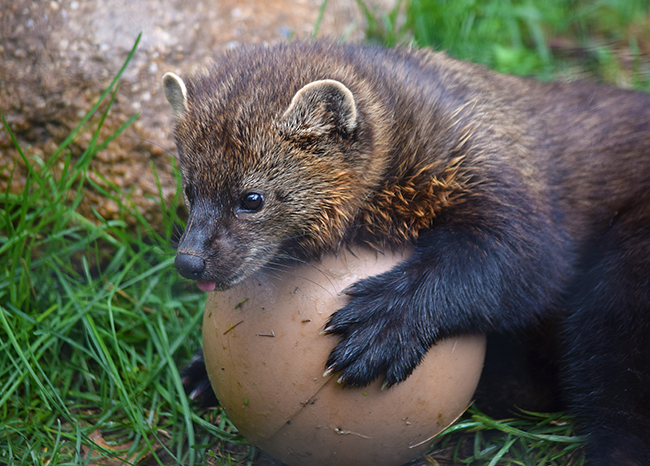 Our fisher’s favorite enrichment item is a ball that is scented with lavender. 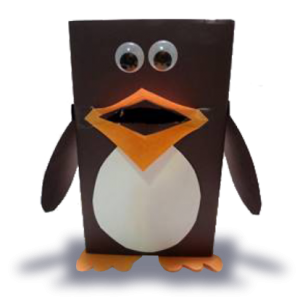 includes any enrichment that changes up the general sights that an animal sees each day, such as animal decoys, strings of lights, and disco balls. Our guinea fowl greatly enjoy investigating plastic decoy flamingos. is given in the form of any new sounds that an animal might not typically encounter, such as new animal sounds or music. This is an excellent form of enrichment for our ravens, who love to mimic new sounds. is any changes to the overall diet of the animal, in which they receive a new food item they may not typically receive. 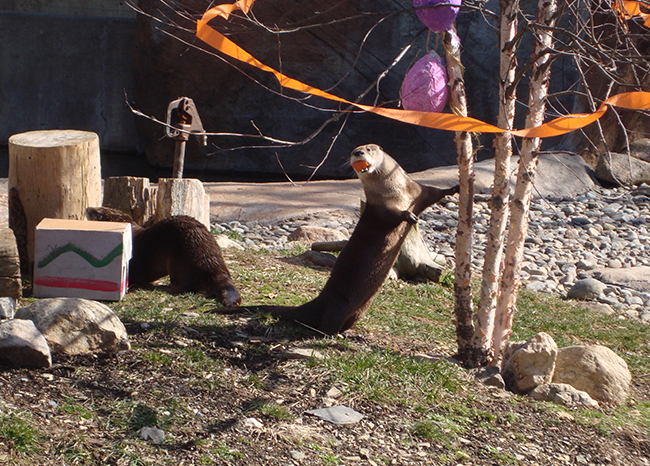 We frequently enrich our otters with “otter cakes: ice blocks filled with fish, which provides them with a fun challenge to obtain their fish. 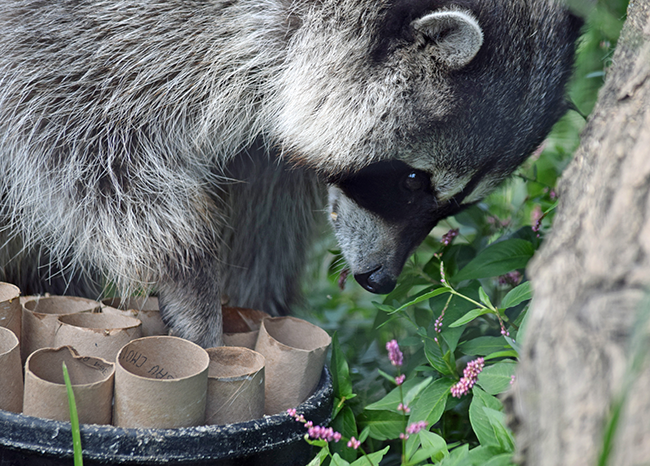 is an incredibly stimulating form of enrichment for many animals, as many animals rely heavily on their sense of smell. Spreading new scents around an exhibit provokes curiosity and exploration. Our lynx loves to receive new scents (in the form of new fur or feathers) in her exhibit, as it stimulates her to rub and roll, marking it heavily with her own scent as well. 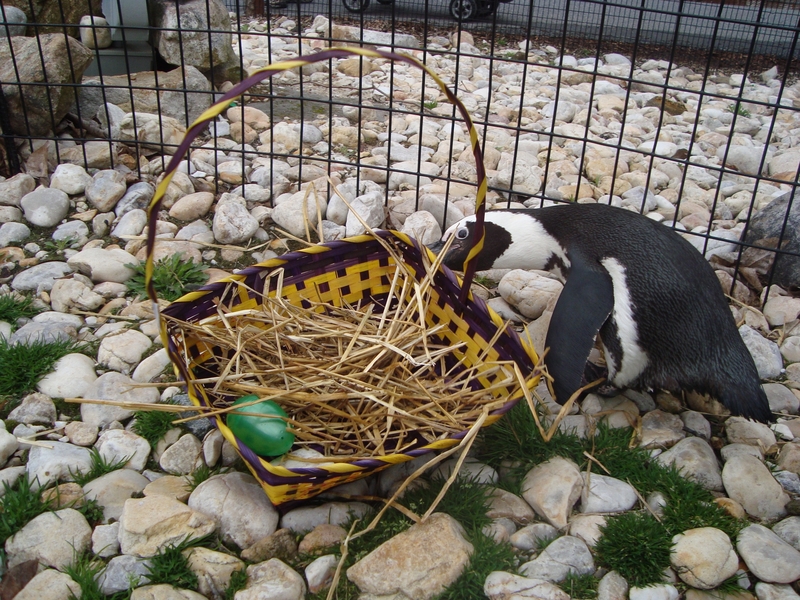 You can join the team and buy items hand-picked by our keeper staff which directly benefit the Lehigh Valley Zoo animals!